These rules are a supplement to the DBN rule system and are designed for the large battles of the British Colonial period; however they can be used for any nations colonial wars during this period. DB Colonial (DBC) covers the wars between the British Empire and the Zulus, the Mahdists, the Afghans and the Boers. The rules are ‘quick’ easy to use and well researched. 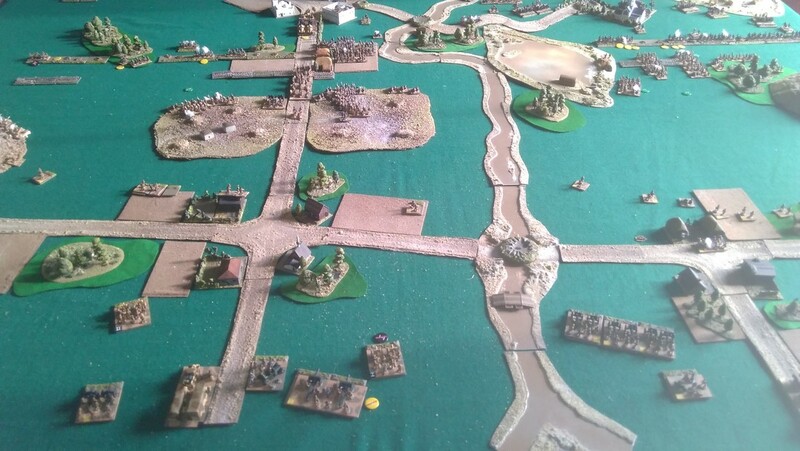 The standard, regular game is played on a 3’ x 3’ table for 15mm figure scale or less and 4’ x 4’ for 20mm scale or larger. Two main scenarios are used in DBC : ‘The Glorious Invasion’ and ‘The Glorious Defence, or Die’ both are explained further in the ‘Deployment’ section. All basic rules and base sizes are as per the DBN game system. One Unit or ‘base’ represents approximately half a battalion of 200 to 250 Europeans or about 300 to 400 Natives and 80 to 120 Cavalry. One Gun or Maxim model represents half a battery (about 3-4 pieces of ordinance) All quoted distances are set for 15mm scale figures. These rules are designed for a Division or Corp level game they are easy to learn, fast to play and encapsulate the tactics and unique spirit of the American Civil War. They have been inspired by the success of our DBN rules and one of the many distinctive features of these rules is a straightforward system for the deployment of flank marches and reserves. 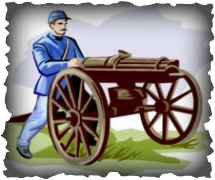 DBACW in our opinion is ideal for fighting the big historical battles like Gettysburg or for recreating the major campaigns of the period. Scale. 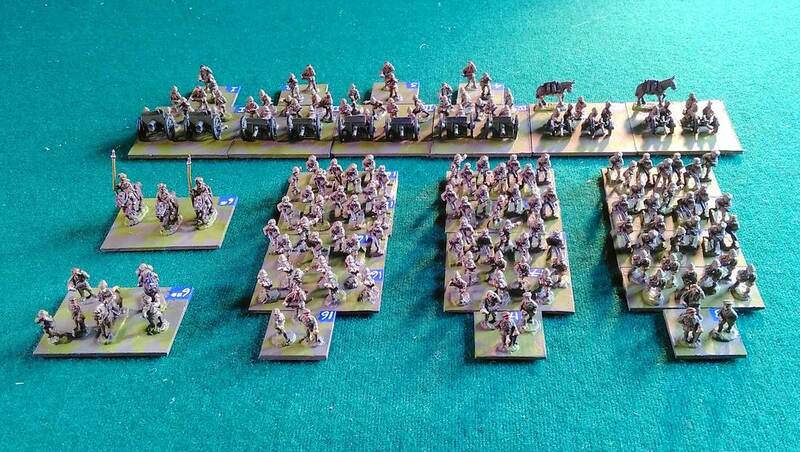 The figure scale is that of one infantry elements equates to a battalion of 400 – 500 men, therefore a Brigade of 2000 men is represented on the table top by 4 to 5 infantry elements and a Commander. A cavalry element represents a regiment of 300 - 400 men and an artillery element represents 8 - 12 guns. The basic ‘Army’ is therefore equivalent to a division or group of brigades commanded by a Divisional Commander who, in the basic game, is known as the CinC. Page 1 Introduction & Contents. DBFA uses the DBN/DBx gaming system for its combat resolution and its command & control, therefore in order to play DBFA a working knowledge of the DBN/DBx gaming system is required. DBFA is a supplement to DBN or other DBx game systems. and 7 types of aircraft. These rules include the use of secret movement, forts, Kamikaze attacks, Radar, Sonar, mine fields and amphibious operations with land combat. 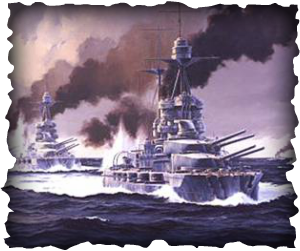 DBFA uses a unique new combat sequence and new movement sequence to give you a fast and challenging naval battle. 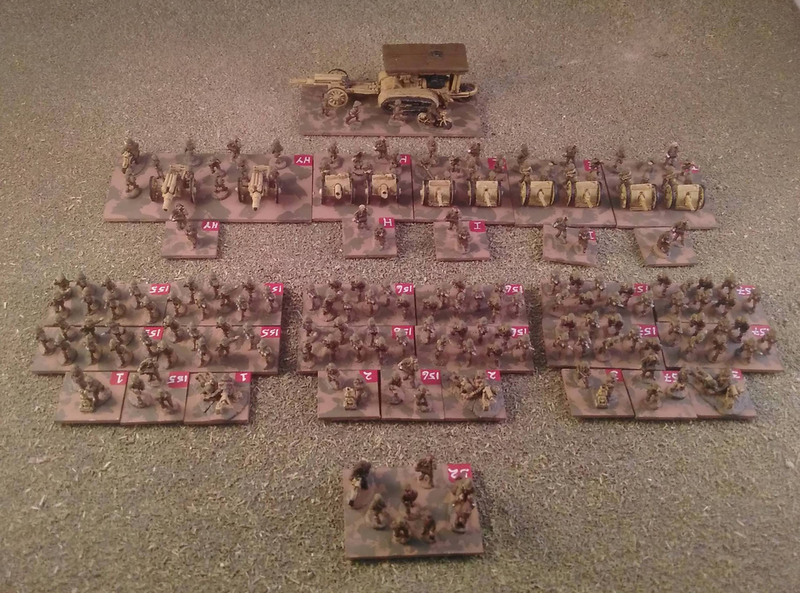 DBWW1(ME) are a set of ‘standalone’ rules that are designed to be easy to learn, fast to play and to encapsulate the tactics and spirit of WW1 in the Middle East. They have been inspired by the success of our DBN rules, which, like them, are based on the principles of DBA. The main protagonists during WW1 in the Middle East were the Ottoman Empire (also known as the Turks or Turkey), supported by the Imperial German Empire and their Austro-Hungarian Allies, who throughout the war simultaneously fought against the Russians in the Caucasus and the Imperial British Empire, supported by France, in Mesopotamia, Palestine, Egypt and, probably most famously, Gallipoli. 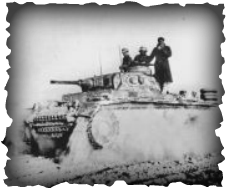 The primary combat formation for all of the nations involved was the Infantry Corps; these Corps were divided into Divisions, with their integral field artillery, and supported by cavalry (anything from a single regiment to a division), additional artillery, machine gun companies, specialist troops such as Storm Troopers, Trench Mortar Companies and occasionally, during the later stages of the war, armoured vehicles. Therefore the rules are based on both players fielding a Divisional sized army but provision is made to fight larger battles using Corps or even larger sized formations. WW1 saw dramatic changes in tactics, battlefield communications, and weaponry and troop deployments. At the start of the war many generals, particularly amongst those in the British Empire, were still advocates of the linear tactics and massed cavalry charges of the previous century. Although it took a while the generals eventually realised the error of their ways and that a new era of warfare had arrived. Machine guns and far more accurate and lethal artillery became the masters of the battlefield which gave rise to the stalemate of trench warfare on the Western Front. This was not so in the Middle East where, although one side was often ‘dug in’, combat was much more fluid and trenches were usually little more than shell scrapes. Cavalry was increasingly used as mounted infantry, logistics became more reliant on vehicles and railways and communications gradually improved with the introduction of wirelesses. These rules have been developed to fight tactically challenging battles as realistically as possible. They will not suit the ‘line ‘em up, throw a few dice, look pretty and do nothing’ style of player. We have assumed that players have an at least basic understanding of army organisation, terminology and general understanding of the tactics and principles of WW1 warfare. Each manoeuvre piece on the table top represents a tactical troop type, be it Infantry, Cavalry or Artillery, known as a ‘Unit’. The Unit is represented by a number of appropriate model figures mounted on a base, most of which have the same size frontage but vary in depth. A group of two or more Units represents a ‘Formation’, at the basic level a brigade, which in turn are grouped together to form a division and so on up the chain of command. Command and Control was a vitally important element and could make the difference between winning and losing a battle regardless of the quality of the troops and the superiority of their equipment, it is, therefore, a significant part of these rules and is simply and effectively implemented by the use of Commander’s Action Points or ‘CAPs’. 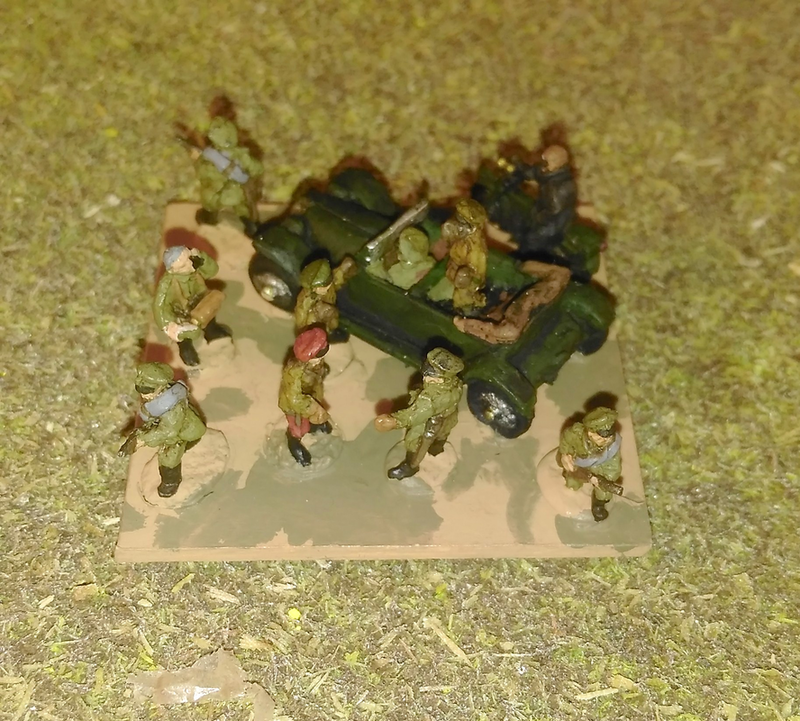 At the basic level the player commands an All Arms Division of 20 to 25 Units based on historically accurate Army Lists but, just as in real life, with experience and more troops players can progress to command Corps, usually of 3 to 4 Divisions, and even an Army of several Corps. Although these rules have been developed for the Middle East there is no reason why they cannot be used to recreate WW1 battles in the Balkans and Eastern Europe, in fact in any theatre where both sides are not engaged in the trench warfare that was the over-riding feature of the Western Front. Our overriding concern was to stick to our principle of ‘Keep It Simple’. We think we now have a set of rules for warfare in the Middle East during WW1 that are as good as you are going to get. If you want rules that are easy to play yet challenging, capture the spirit and historical accuracy of the time, are perfect for fighting big Historical Battles and finally, good fun; then look no further, these rules are for you.